When you travel a lot, the obvious ways to save money and/or earn points are on the flight and the hotel. But there are ways to get points from all the miscellaneous expenses as well. Rental cars: if you need to rent a car, going directly to the rental company's website will earn you nothing. But clicking through the Ultimate Rewards Mall will get you an extra 3x UR points for booking at Avis and 2x UR points through Hotwire. Booking hotels: Most of the time, I use my Starwood Preferred Guest points to pay for hotels, but if there isn't one nearby or with low availability, I have to pay for hotels sometimes. Shopping hotels.com through Ultimate Rewards nets you a bonus 4X for every dollar you spend.. a $200 hotel nets you 1000 Ultimate Rewards points! Of course, you should check American Express Travel also, to compare who's offering more points for spend. 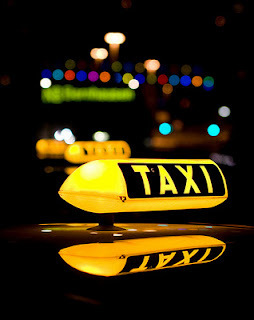 Taxis and transport: Little costs like this add up over time. A $15 taxi here, $7 metro fare there. Use a card like the Chase Sapphire Preferred card, and you'll get 2X bonus points for these types of charges. Make every charge count. Rather than using cash when you're traveling for anything, put everything on a card, and earn points while you're at it!